Simplicity and warmth summarize the essence of the Java armchair. Designed to be functional, it is a reference for open spaces because it resists the elements without losing character. 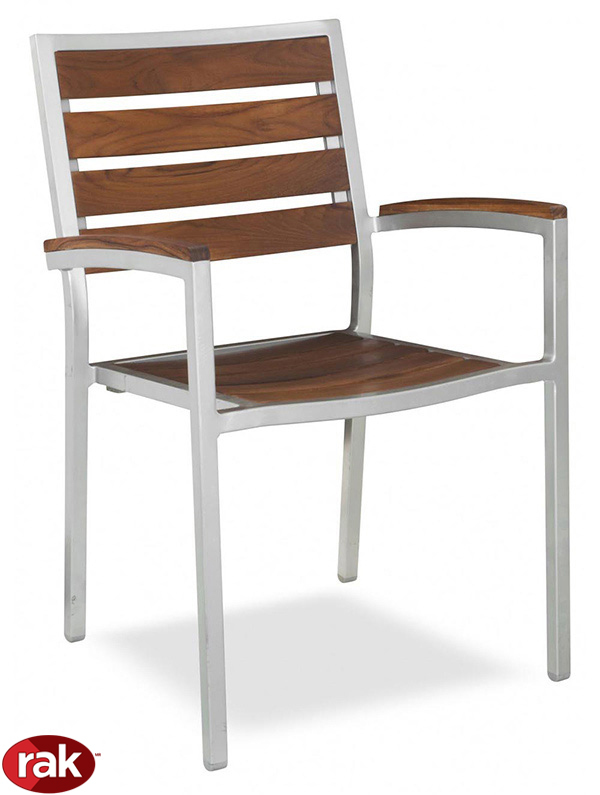 Stack-able and easy to transport, it is offered with the structure in imitation of teak wood or in silver color. 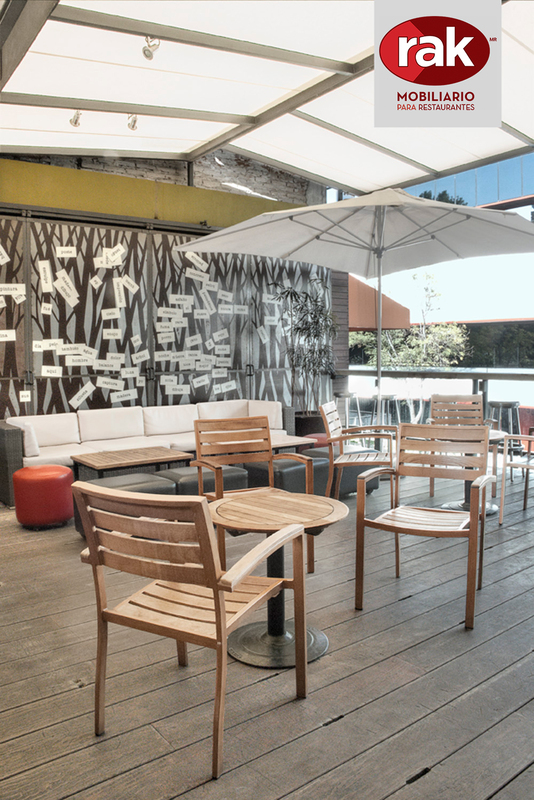 A piece to design the terrace of a restaurant or cafeteria.